on Arrival London . No arrangement from our end. 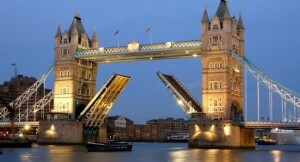 Reach London City Center at your own then your London City Tour will start. The City Tour Will be on SIC Basis includes ( tOur of london with enrance to london eye, st pauls Cathedral, tower of london and one way Cruise). Overnight at Hotel. Reach to Train station at your own to catch the train for Edinburgh . Capital of Scotland since the 15th Century, Edinburgh stands on seven hills creating the dramatic skyline of this lively cosmopolitan city. What better way to see this fantastic city than from the top of a City Sightseeing Tour Bus. Marvel at the impenetrable Castle Rock and hear about the attempts to capture Edinburgh Castle, see the Royal Mile which joins Edinburgh Castle to the Palace of Holyrood House and discover the fascinating history of this amazing city. After Having Breakfast From Edinburgh we head west to Glasgow and then make our first stop at the picturesque conservation village of Luss, on the ‘Bonny, Bonny’ banks of Loch Lomond.Travelling north via Tyndrum we pass over the desolate Rannoch Moor before enjoying time to walk and admire the dramatic Glencoe valley, site of the 1692 massacre of the MacDonald Clan.After lunch in the Fort William area, we stop for photos at Scotland’s highest mountain, Ben Nevis, then stop to admire Glen Garry and the stunning Five Sisters of Kintail mountain range.Our journey ends in the charming village of Portree, on the Island of Skye, where we check into our accommodation. After breakfast we depart Portree for a full day’s touring – options include a visit to Dunvegan Castle*, or a trip to Uig and a stop to visit Flora MacDonald’s grave and the unique Black Houses. We continue our journey where we can view Duntulum Castle, take photos of Kilt Rock and perhaps enjoy a walk at the Lealt Falls. Our tour ends with the opportunity to admire the Old Man of Storr, before we return to Portree. We commence our descent via the much-admired Eilean Donan Castle*, backdrop for the movie, ‘Highlander’; (interior closed in winter) then move on to the pretty lochside village of Fort Augustus for lunch and views of Loch Ness.Our journey south continues over Laggan and the Grampian mountains with our last stop in the Victorian resort town of Pitlochry, before returning to Edinburgh. On arrival Edinburgh you need to catch the train for Windermere . On Arrival Check inn At Hotel. After Breakfast Check out from Hotel and keep your Luggage at Hotel Lobby then take trip ten lakes spctacular. back to Hotel. Collect your Luggage and take train from Windermere – London..
27 Mar – Edinburgh – 3 day isle of Skye tour, highlands and Lochness. 1 GBP = INR 91. The prevailing Rate of Exchange of the day of payment will be applicable.